The Life Esidimeni arbitration has revealed brutal accounts of how relatives of patients suffered at their loved ones’ deaths. Finally, they can look forward to seeing the key architects of the fatal move cross-examined. By GREG NICOLSON. So reads the affidavit that psychoanalyst and clinical psychologist Coralie Trotter submitted to the health ombudsman after working with a team of 19 other clinicians to assess the impact of the Gauteng health department’s fatal decision to move 1,700 patients out of Life Esidimeni. Lawyers for the provincial government tried to bar Trotter’s damning testimony at the Life Esidimeni arbitration hearings this week, where it was revealed a total of 143 patients have died as a result of the department’s Gauteng Mental Health Marathon Project, but she was allowed to proceed. As the arbitration continues and more evidence emerges that could lead to decent compensation for the families, the state’s counsel appears to be under mounting pressure to limit government responsibility. The arbitration, however, appears to promise more hope in finding the truth and holding officials accountable. In her testimony, Trotter reiterated how patients’ inhumane treatment by the department and the NGOs they were transferred to could amount to torture. Citing clinical Professor Ira Brenner, she said dehumanisation is a two-step process. “Step one is identifying undesirable humans. Step two is turning them into non-humans.” That’s what the department did and it had a devastating effect on families, who she said suffered from continuous traumatic stress disorder (CTSD). That could have implications for compensation paid to both the families of the 143 patients who died and those of around 1,600 others who survived the move from Life Esidimeni. The state’s lawyer Advocate Tebogo Hutamo refused to accede to Trotter’s testimony being heard, questioned her expertise, and argued that her testimony was irrelevant. Former deputy chief justice Dikgang Moseneke, who is presiding over the Life Esidimeni arbitration, allowed Trotter to proceed but will only decide later whether to include her evidence. Although the state said Trotter’s findings were based on hearsay, she interviewed 11 families. The state’s lawyer also attacked the testimony of Dr Mvuyiso Talatala, saying SECTION27, which represents the relatives of many patients who died, had brought doctors as “hired guns”. Talatala, the former president of the South African Society of Psychiatrists, was one of the many mental health professionals who warned the department about its planned move. His testimony could also lead to increased compensation payouts and further shame upon the Gauteng government for ignoring repeated warnings. Relatives of those who died after being moved from Life Esidimeni have demanded to hear the three most implicated officials testify. Former provincial health MEC Qedani Mahlangu, suspended head of department Dr Barney Selebano, and suspended director of mental health Dr Makgabo Manamela have repeatedly come up in the hearings and the health ombudsman’s report as the primary culprits, pushing the disastrous plan through and creating a climate of fear preventing dissenters from taking a stance against them. It’s unclear as to whom she expressed her desire to participate in the arbitration. She only spoke out last week. Lawyers trying to get her to appear said they didn’t know where she was. And despite her professed availability, Mahlangu is only willing to appear on her terms. Moseneke wanted to complete the arbitration this year, but after a break, it will have to resume in January to hear her testimony. It was announced on Tuesday that Selebano’s appeal against the ombudsman’s findings and the disciplinary action taken against him was dismissed. Manamela’s appeal has also been dismissed, meaning the pair must finally face disciplinary action for their role in the cause of the 143 deaths. “This paves the way for them to be charged in a disciplinary process that will probably lead to their dismissal,” said the DA Gauteng’s Jack Bloom. Mananemela is set to appear before the arbitration on Monday. Selebano reconsidered his application to overturn the subpoena for him to appeal and will also have to appear soon at the hearing. Mahlangu, Manamela and Selebano are described as the key architects behind the Esidimeni move and despite the state’s latest attempts to have incriminating evidence barred will be grilled on the information that has been gathered in their absence. “Closure requires truth. The fact that the deaths are still under investigation and that there has been no explanation forthcoming from the Gauteng Department of Health regarding the set of aversive events the families have experienced, means that these families are living in a state of uncertainty,” said Trotter in her affidavit. 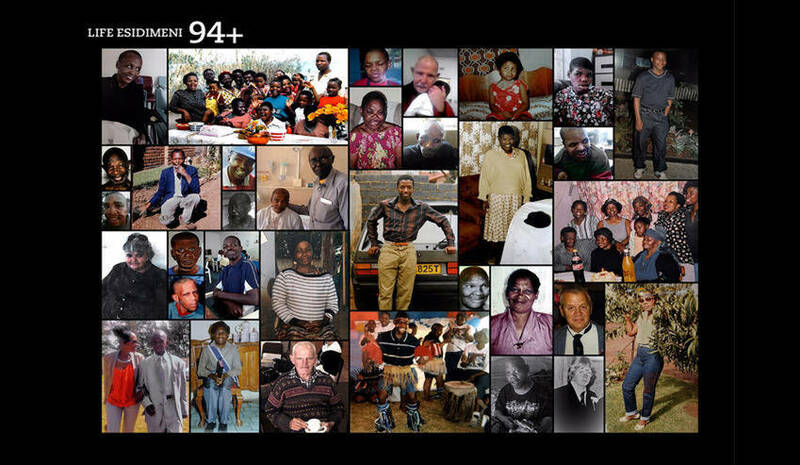 File Photo: A photographic collage was presented at the hearings by Section27 in memory of the mentally ill patients who died in the Esidimeni Life tragedy. The number of patients who died now stands at 143. Photo: Section27.